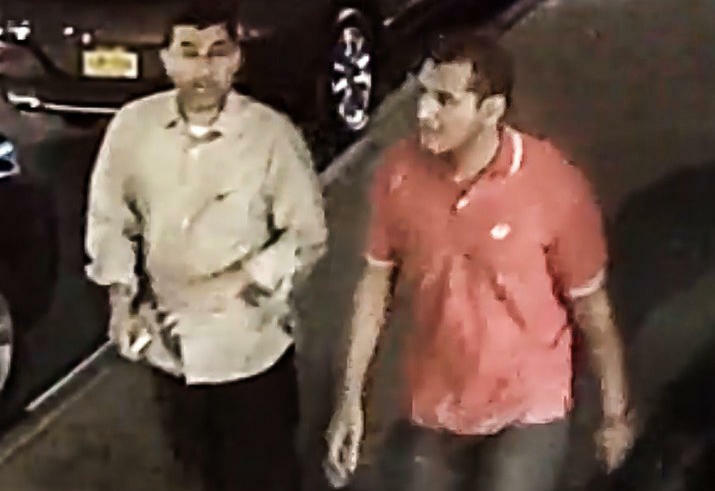 Two men seen on surveillance video handling an undetonated explosive device on the night of the bombing in New York’s Chelsea neighborhood have been interviewed by authorities, CBS News senior investigative producer Pat Milton reports. Two law enforcement sources said the men were found to have no involvement in the bombings in New York and New Jersey on Sept. 17. The sources said both men are EgyptAir crew members and were contacted overseas during a stopover after being identified by the FBI with the help of video surveillance. The men apparently unwittingly picked up a duffle bag containing the undetonated pressure cooker device in the Chelsea section of Manhattan a few blocks from where a similar device exploded, injuring 31 people. No one was injured in the New Jersey bombing. The men can be seen on video removing the device, placing it on the ground and walking off with the luggage. It’s unclear what happened to the luggage.